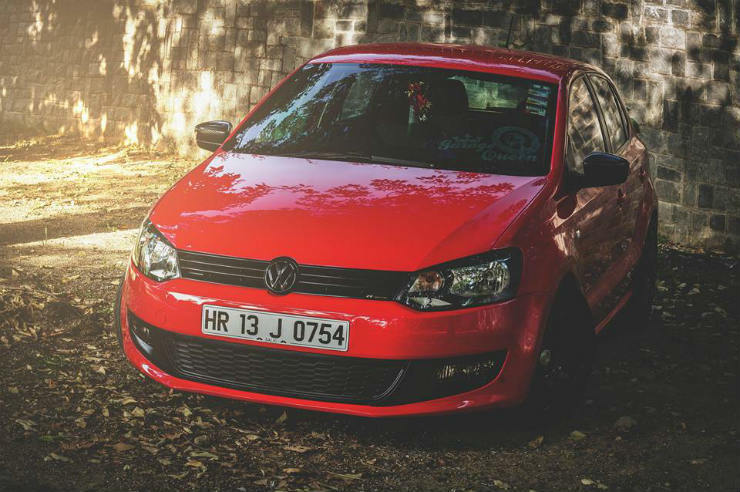 Meet ‘Laado’, India’s fastest and most powerful Volkswagen Polo GT TDi. This is one car that can beat Audis and BMWs at the traffic lights. Yes, it’s that POWERFUL. Visually, there is not much to tell this apart from the normal GT TDi. The car has been extensively lowered courtesy a BC Racing coilover suspension setup. The car now sits on 16″ HRS rims with 205/50 Maxxis IPRO tyres. All the chrome elements have been blacked out as well. What goes under the hood is what makes this car the fastest and most powerful GT of the country. Where people normally opt for remaps, this owner has gone ahead and upgraded the turbo as well. 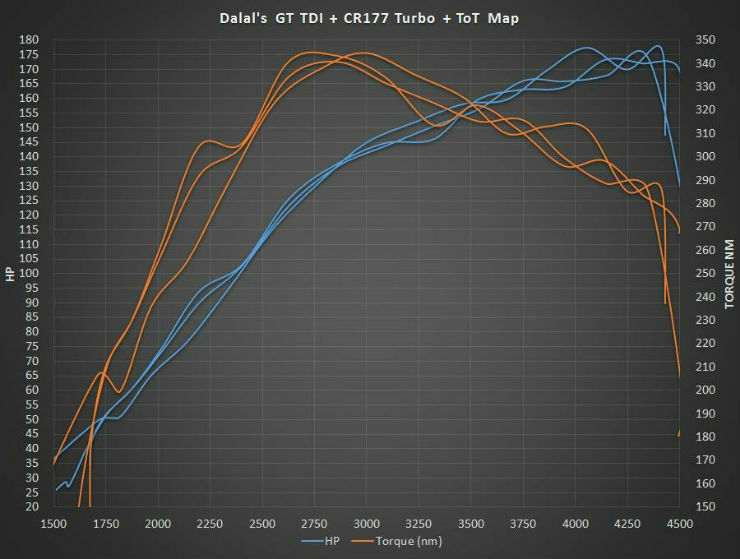 The new turbo in question is the CR 177. The ECU has also been remapped by ToT and the car now produces 177 Bhp and 340 Nm. This one is the 1.6 liter one before the new 1.5 liter engine came out. Power update is almost 70 Bhp and 100 Nm which is massive by any standards, especially in such a small car. The owner claims that 0-100 comes up in 7.35 seconds which is really quick. There have been supporting mods done as well. There is a new Darkside Intercooler to make sure temperatures stay in check. There is a new 3 bar MAP sensor as well. To make sure all this power isn’t restricted, the owner is running a custom straight pipe exhaust and a Pipercross air filter. If you thought this was it, you are certainly mistaken. 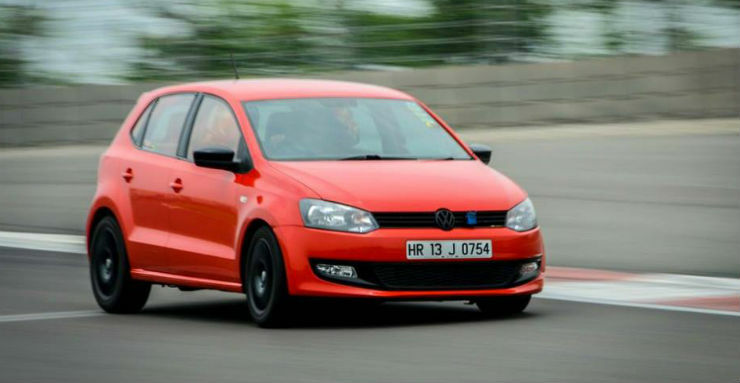 The owner has many more things planned for this Polo to make it even faster. He is soon planning to shed some more weight by opting for fibre glass body panels. To make the car handle better around corners, he wants to install a limited slip differential. Ofcourse, a more powerful big brake kit will also be needed to stop the car. An oil cooler, rear sway bar and a Darkside Stage 1 clutch are also on cards for the future. 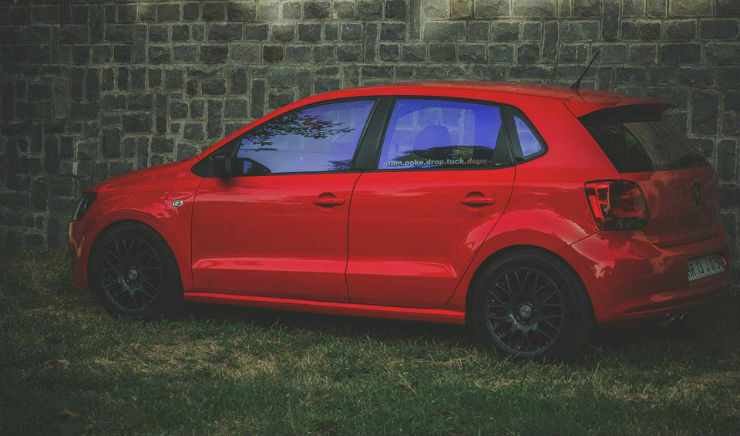 This is certainly a Polo GT TDi to look out for in the future.